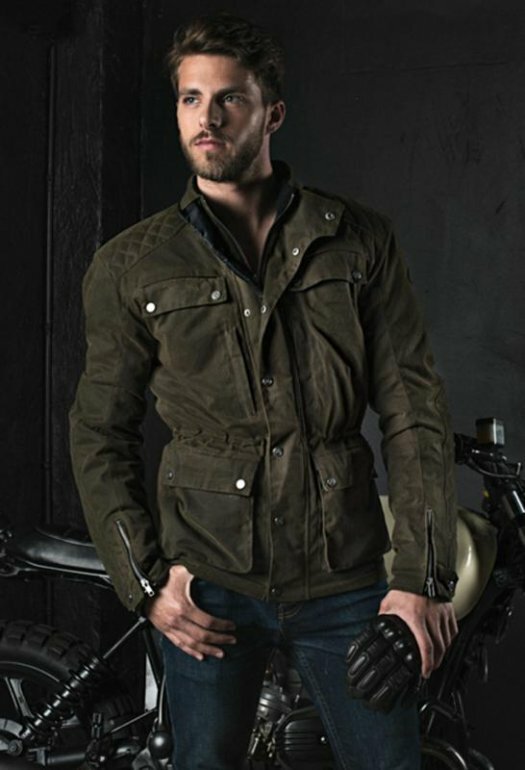 The Segura memphis jacket is fabricated from a khaki oiled canvas. Main features include a waterproof insert to help protect you from wet days, and a breathable insert for stuffy days. Both elbows and shoulders are reinforced with removable and CE approved protectors. Three interior pockets and six exterior pockets provide you with adequate storage space for loose items. The integrated ventilation systems helps to ensure that you are at a comfortable temperature no matter what time of the year it is.